DADA PEOPLE Now Available for Pre-Order on Bandcamp! 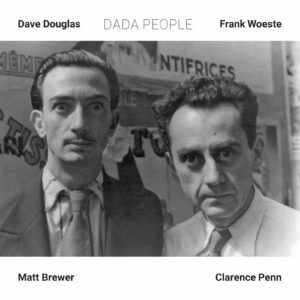 DADA PEOPLE, the new album from trumpeter Dave Douglas and pianist Frank Woeste, is now available for pre-order on bandcamp. When you purchase the album, you’ll receive the tracks ‘Spork’ and ‘Danger Dancer’ now. The rest of the album will be made available on October 14.